Tyrant is a game of heroic adventure, where you pit your wits and cunning against a fearsome array of monsters and fiendish puzzle in your attempt to gain fame and fortune. 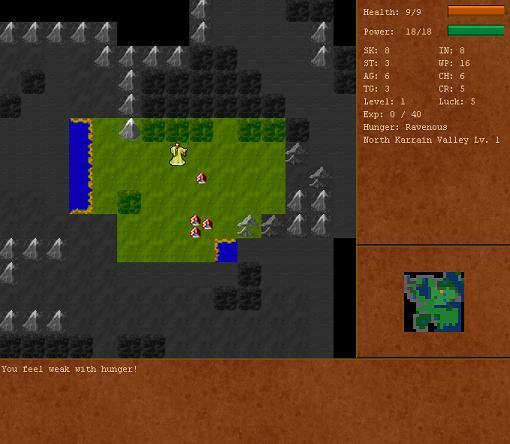 It was made in the tradition of classic RPG games such as Rogue, Nethack, Angband, and ADOM. Choose "a" to create a new character. Then select your race. Select your profession. Finally, enter your name. Use the arrow keys to move and start your adventure! Press "e" at the main screen to create your own levels! Click on the "tiles" and "things" on the right and then click on the black square to draw them. Choose File->Save Map when you are finished.